Commissioned by the ACT department of health in 2016, Mr Tim and The Food Detective have put together a delicious smorgasbord of nutritional delights in their EP ‘Takes Ten Tastes’. This EP is jam packed with good eating messages and information for students, teachers and parents for all to groove your way to a healthy plate! 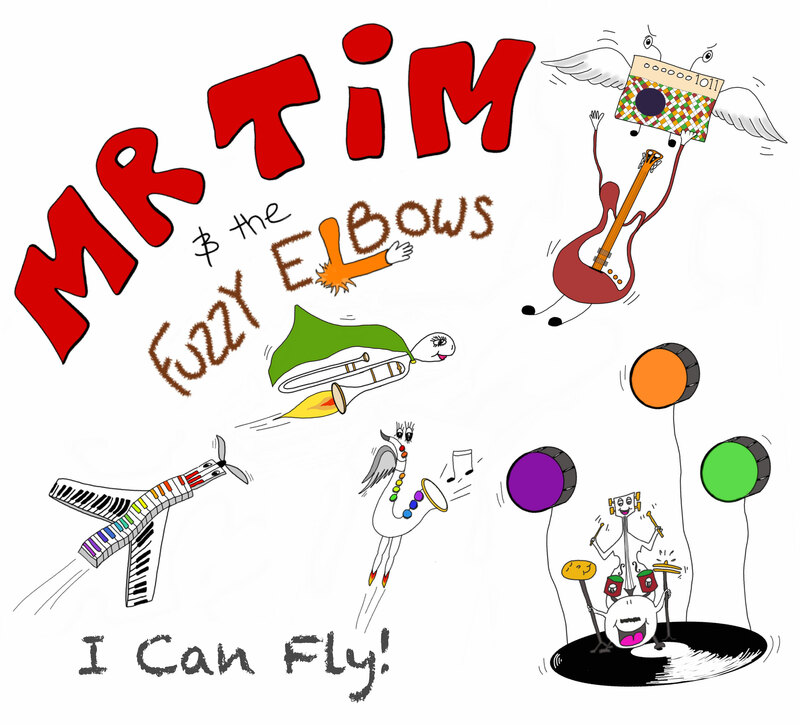 After a long wait, Mr Tim has put together a high-energy, fantastically fun and creative new album, ‘I Can Fly’. Featuring an eight piece band of talented professional musicians and children’s choir, this album contains 15 tracks that will have you singing along, learning stuff and rockin’ out!!! This sophisticated music for kids will explore topics from: the complex nature of leaving the house, the scientific reason for rainbows, identifying rock types and one of life’s little inescapable truths… The album covers a range of genres from rock, blues, latin, folk and what can only be described as a Transylvanian polka that will make an unforgettable experience for the whole family to enjoy. This is the next generation of sophisticated music for kids (5-12 yrs) to enjoy! With a nine piece band blending rock, funk-folk, soul and a little country, parents will be singing along as well! Mr Tim is a performing arts specialist in Music, Dance and Drama. He specializes in creating shows with up to 400 kids in just 4 days! With a Bachelor of Music from the Australian National University majoring in Piano Performance, Mr Tim has taken his talents to new heights with his fellow musicians to present his debut album. With a nine piece band at the helm of this adventure, Mr Tim gives children an experience of ‘grown up’ music with topics that are relevant to them. This album has been an immediate hit with kids and adults alike as his blend of humour and musical sophistication is really speaking to all who listen.